Pump up your Pokemon Diamond gaming experience with Pokemon Diamond Action Replay Codes, the list below shows you the best and working cheat codes for Pokemon Diamond. To use them, you need an emulator that supports action replay, If you are playing this game on PC, check The Best DS Emulators for PC. If you’re going to play this game on an Android device, the very best Nintendo DS emulator I recommend is DraStic DS Emulator, there are dozens of DS emulator exist on Google Play Store but these can’t beat the capability and features that Drastic is offering. The Drastic free version is enough to enjoy DS gaming but the premium version offers the full usage of the app. Playing the game on Mac computers? Straight answer! You only need OpenEmu period. This will level up Pokémon quickly. If at level 40+, use Super EXP Gain. Some sort of warning to users for Pokemon Diamond Action Replay Code users, please try not to activate too many cheats at once to avoid messing up the program of the game. Better disable the cheats after use and activate only the one that you really need. Cheating can be fun but sometimes can ruin your game when used improperly, use only at your own risk and have fun. How were the cheats going to you? Let us know your experience by posting your message in the comment form below. Can we play it on Android? Yes of course, I recommend using Drastic DS emulator. For me this is the best DS emulator for Android in my experience. Sorry but what do you mean by IDS? 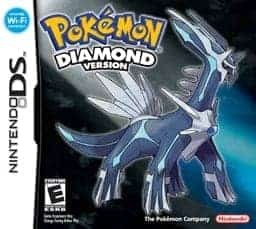 can you give me a dowlond for pokemon diamond so i can play it ? ?